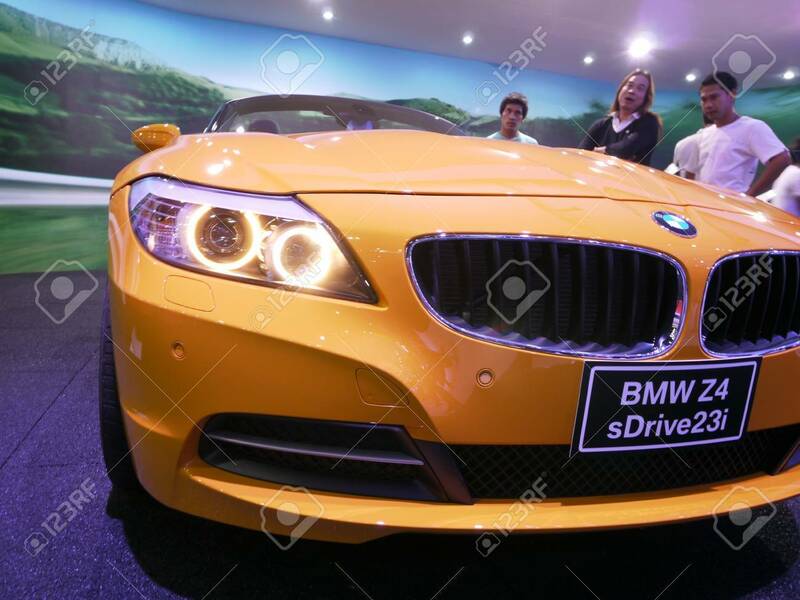 BANGKOK - MARCH 25: Enthusiasts Admiring The Latest Model BMW.. Stock Photo, Picture And Royalty Free Image. Image 9142031. Stock Photo - BANGKOK - MARCH 25: Enthusiasts admiring the latest model BMW Z4 at the 32nd Bangkok International Motor Show at Impact Challenger on March 25, 2011 in Bangkok, Thailand. BANGKOK - MARCH 25: Enthusiasts admiring the latest model BMW Z4 at the 32nd Bangkok International Motor Show at Impact Challenger on March 25, 2011 in Bangkok, Thailand.